The bugs keep on coming. Apple built its trillion-dollar reputation delivering beautiful hardware that turned tedious tasks into magical experiences. But a recent string of ridiculous bugs — and a seriously shocking security flaw — put Cupertino in a precarious position: If Apple doesn’t stop the screw-ups, it could permanently sully its good name. Design has always been one of Apple’s strong suits. However, most of us buy Apple products not because they look good, but because they “just work.” For years, the company’s software has been exemplary. Now it is becoming a laughingstock. It seems that with every software update, Apple fans face new problems. Some prove minor, but others break fundamental features we rely on every day. A recent doozy of a security flaw left Macs wide open to attacks. Most of Apple’s biggest fans brush off these bugs like they’re nothing. They tweet about temporary workarounds and tell you when fixes finally become available, but they won’t acknowledge that Apple faces a big problem. Others are beginning to turn. Apple’s software development process is in dire need of attention. If the company doesn’t do something about it soon, it risks leaving a permanent sour taste in the mouths of consumers. Glitches both big and small plagued iOS 11 ever since its public debut in September. Users faced random freezes, performance hiccups and unexplained battery drain. And seemingly every new update Apple rolls out brings new bugs to worry about. One prevented users from typing the letter “i.” Apple somehow made it so that this commonly used letter “autocorrected” to the letter “a” alongside some strange symbol (a question mark inside a box). Apple fixed that in iOS 11.1.1, but also introduced a new autocorrect glitch. When users attempted to type “it,” iOS 11 changed the word to “I.T.” It’s staggering that no one at Apple picked up on this before iOS 11.1.1 made its way to the public, or even rolled out in beta. Another iOS 11 bug made the built-in Calculator app useless if you used it too quickly. Slow animations prevented it from keeping up with touch input, so it failed to calculate anything correctly unless you left a lengthy pause in between touches. Then there’s the bug that made millions of iPhones almost unusable. It turns out that iOS 11.1.2 wasn’t keen on the date of December 2. So, at 12:15 a.m. that day, some iOS devices began crashing repeatedly whenever a third-party app served up a local notification. The only workarounds for this were to disable all notifications or to roll back the date on your iPhone. Neither of these fixes were ideal for any iPhone owner. This problem forced Apple to roll out iOS 11.2 early — on a Saturday of all days. The company rolled out its sixth beta for the update a day earlier, which suggests this release wasn’t actually ready to make its public debut. But Apple had no choice. “I was once told it would have to be a real damn emergency to release an iOS version on a weekend, so, here we are…,” tweeted respected developer Steve Troughton-Smith. “I just want to point out that this issue being fixed in iOS 11.2 beta makes me think that someone in the company KNEW this problem exists, fixed it, but failed to make this fix available ASAP for production to prevent this,” tweeted Mac developer Evgeny Cherpak. It’s not the first time Apple broke millions of devices, either. Soon after the immensely popular iPhone 6 debuted in 2014, the company pushed out an iOS update that prevented users from making calls. Suddenly, brand new handsets couldn’t perform a basic cellphone function. Apple has been making similar mistakes with macOS updates. One of its most recent High Sierra releases contained a critical flaw that allowed anyone to log in to your Mac. Getting in proved as simple as entering “root” as the username and leaving the password field empty. The bug put millions of users at risk. Apple fixed the problem with an update that introduced yet another bug. The patch broke file sharing for a lot of Mac users, forcing Apple to publish a support document with instructions on how to fix the problem manually. It’s baffling that severe issues like these weren’t picked up sooner. Apple should have identified them during internal testing and fixed them long before the updates rolled out of Cupertino. Another High Sierra bug surfaced on December 1, when it became evident that macOS was attempting to do something with a “month 13.” It seems macOS didn’t know that there are only 12 months in a year. The error wreaked havoc for some users. This seems like an amateur error. How did it make its way into an operating system that millions of people rely on? “Snow Leopard had 2 full years of bug fixes. Since Lion, Apple has released major Mac updates every year, mostly on a 12 month schedule. Introducing bugs faster than they can fix,” tweeted Jeff Johnson, creator of the Underpass app for Mac and iOS. You might argue that Apple’s software has never been completely free from bugs, and that no operating system ever is. That’s certainly true — but Apple’s mistakes are becoming all too frequent. “I’ve seen more problems with iOS 11 and macOS High Sierra than with any other Apple releases in recent memory,” tweeted iOS developer Steve Uffelman. In case you needed a reminder, see this Twitter Moment dedicated to strange iOS 11 errors. It highlights not only the major problems faced by the vast majority, but also the small glitches that hit smaller subsets of users for no apparent reason. For a company with more cash on hand than any other, these instabilities seem unconscionable — and unacceptable. Apple possesses the resources to fix these bugs before they reach users, yet the bad code continues to slip through the net at an alarming rate. Apple loves to talk about its billions of users around the world. These people suffer when software problems arise. These types of avoidable errors don’t deliver the top-shelf experience that consumers anticipate when they invest in the Apple ecosystem. In fact, many of us are willing to spend more on Apple devices because we expect them to be stable, secure and free from frustrating bugs. Apple’s famous attention to detail turned it into a trusted brand known for rock-solid software. What happened to that? It’s about time Apple focused more of its massive resources on greater quality control. The company beta tests all its software updates, but it needs to do more to identify and eliminate problems before rolling out new releases. We all love new features and fancy visual overhauls. But I suspect the vast majority of us would sacrifice these things so that Apple’s next major macOS and iOS updates could be concentrated on fixing all these problems and building more stable foundations. Even these high-profile bugs might not hurt Apple too significantly just yet. Most fans continue to buy Mac and iOS devices and hope the software will get fixed eventually. Only a few appear to be jumping ship. That won’t necessarily always be the case. 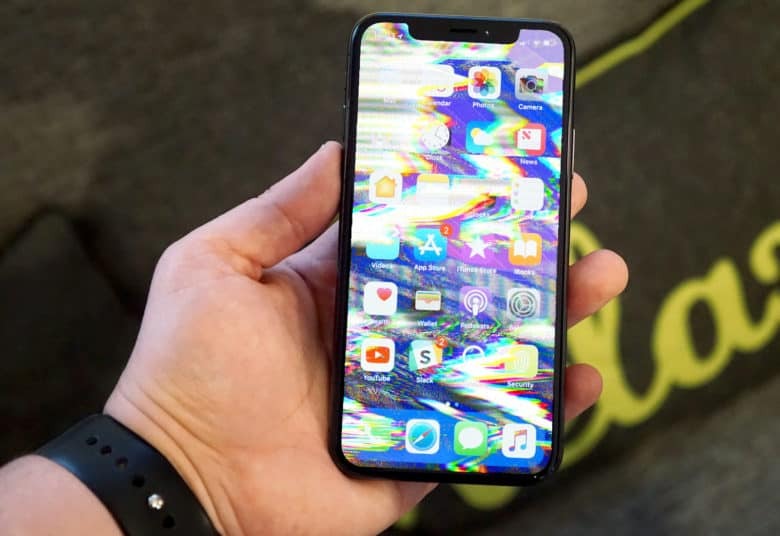 If these bugs and glitches persist at such an alarming rate, and well-known users with influence continue to speak out about them, they will damage Apple’s reputation in the end. John Gruber, who has a massive following online, is one Apple fan who isn’t just brushing off these issues anymore. Apple will face criticism like this until it fixes whatever is wrong with its software development process. It would prove much easier for the company to do that now than to rehabilitate a reputation for subpar software. But that’s exactly the kind of reputation Apple will develop if nothing changes. Just take a look at Samsung: It made one handset that had a tendency to overheat. Because the company couldn’t fix that problem without recalling every single Galaxy Note 7, Samsung is widely mocked as a maker of exploding smartphones. It doesn’t matter that it one just one of a whole bunch of Samsung devices that had this issue. It doesn’t matter that Samsung acted quickly to rectify the problem as best it could. The reputation stuck, and it’s enough to put some smartphone buyers off for a long time. Apple still has a chance to put things right. It’s not too late. And it has all the talent and resources it requires to make a change. If it really cares about its users, and the experience its products bring them, it will do just that before we’re all avoiding Apple software.